Winters are wonderful on Drummond Island. year-round lodging partners. Come experience winter the way it should be. Whether you're biking, hiking, fishing, or sledding, come stay with us. The Bear Track Motel offer you a fresh, clean room for a good night’s sleep; a nice, hot shower to wake you up; and a good cup of coffee to keep you going for a full day of fun on Drummond Island—all at an affordable rate. We provide ample parking for your AVT, snowmobile or boat trailer. We're withing a short walk of Fall Fest and the Jeep the Mac activities. Free Wi-Fi available and pets are welcome. 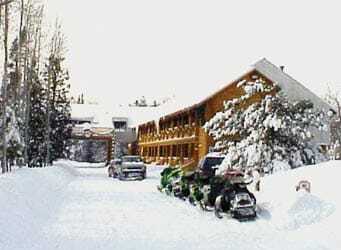 Drummond Island Hotel is clean, comfortable and affordable. Just a stones' throw north of the "Four-Corners", the Drummond Island Hotel sits on a peaceful, hardwood forested lot on the Townline Road. Our central location offers convenient access to many of the island's marinas, beaches, snowmobile and jeep trails and is within walking distance to restaurants and shopping. Legal road access to trail head, picnic area with fire pit and charcoal grill. 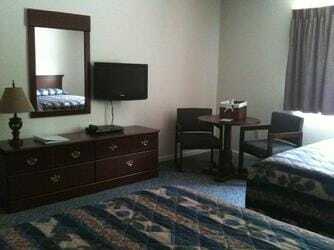 Extra large Hotel rooms feature pillow-top beds, refrigerators, in-room coffee, cable TV with your choice of two queen beds or one king bed, plus FREE WiFi for our guests. All units are handicap accessible. Please visit our website for our current Specials. Drummond Island's largest selection of privately owned vacation rental homes and cottages. Year around rentals ranging from "luxurious" waterfront homes with hot tubs, fireplaces and private docks to affordable two bedroom cottages both on and off the water. 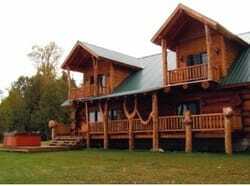 Magnificent log homes also. All homes are fully furnished including linens and towels. 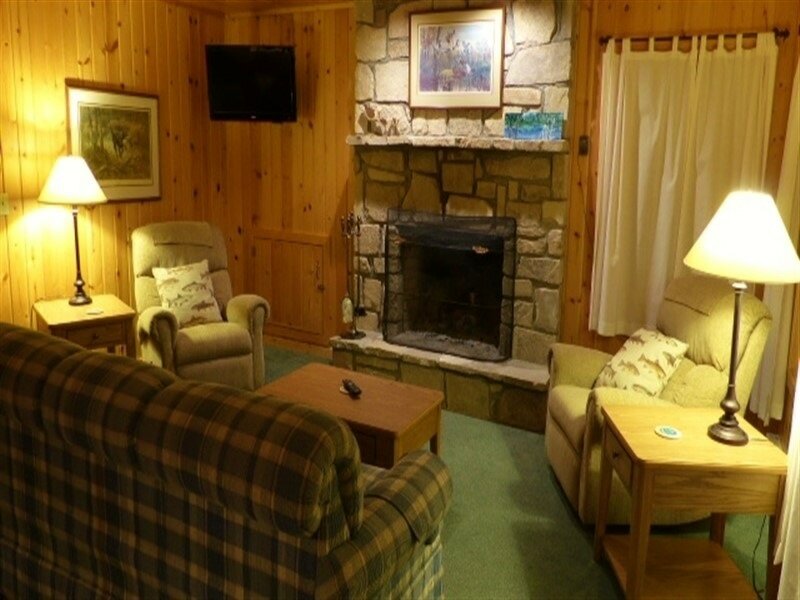 ​With 20 spacious and comfortable one to four bedroom cottages overlooking a picturesque bay and Harbor Island in Lake Huron, Drummond's largest resort and marina has something for everyone. Decks with a view, limestone fireplaces (wood provided), fire pits, sand beach, kids' playset, bbq grills, free wi-fi and private docks are just a few of the amenities available at this beautiful location. Our public marina offers seasonal and transient slips, full time certified mechanics, heated storage, launch ramp, ship store, ice, fishing supplies, laundromat, gas, boat/watersport rentals and U.S. Customs check-in. Inexpensive rental cars are available to access local restaurants and services. We are a dealer for Boston Whaler, Pursuit, Lund Fishing Boats, BRP Evinrude, MerCruiser and Phoenix Trailers and also have a selection of used boats for sale. ATV guides and fishing charters available. Open year around. ​Two, three, & four bedroom cottages complete with kitchen supplies and linen. Beautiful three bedroom home on a private island off the shore of Drummond Island, pontoon boat and motor included with Island rental. Store stocked with groceries, beer and wine take-out, ice, gas, tackle, marine supplies, bait, and unique gifts. Marina has mechanic on duty, boat and motor repair, full line of marine parts, dockage, hoist, storage, boat and motor rental. Dealerships include Yamaha sales and service, Crest & Manitou Pontoon boats, Polar Craft and Meyers boats, Shorelander and Karavan trailer and Shorestation boat lifts. Perch, pike, bass, cisco, salmon & lake trout fishing. Charters available. Open Year Around!